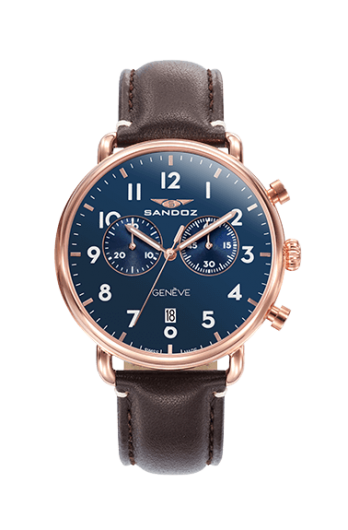 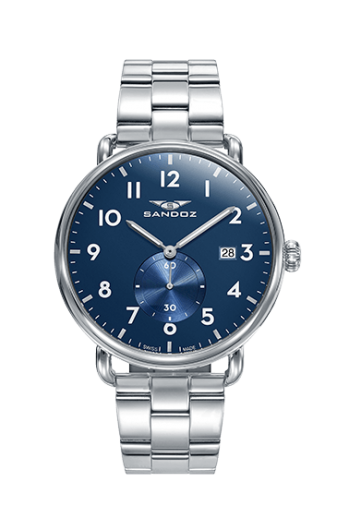 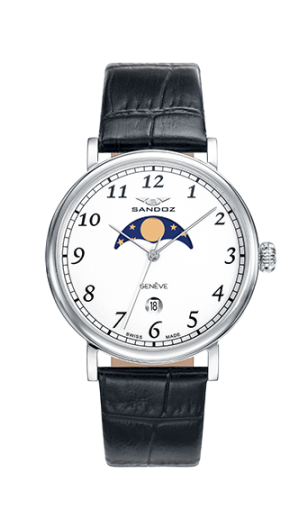 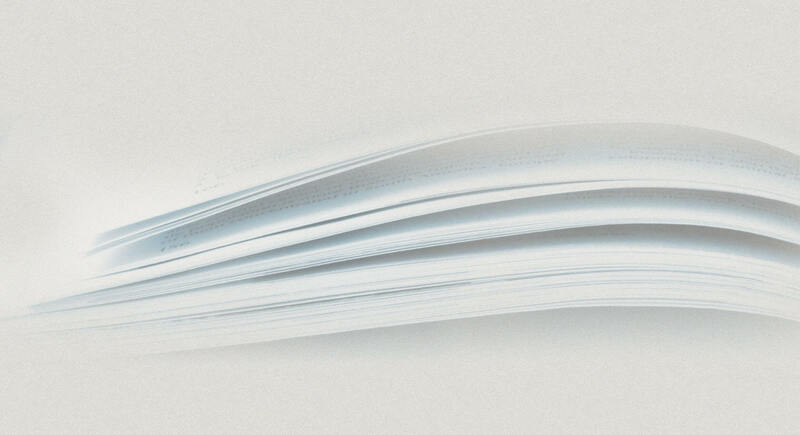 In the purest tradition of the Swiss Made, Sandoz has not wanted to abandon its brand origins, nor the seal that still distinguishes the quality of its models. 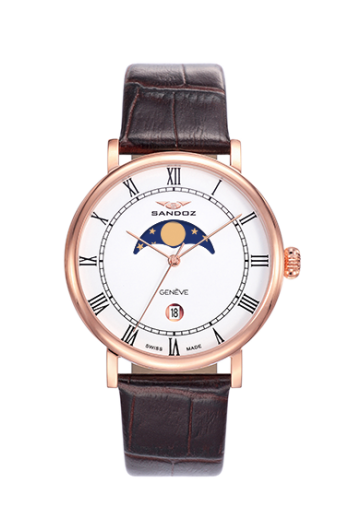 Classicism in its purest state, with soft lines, with calendar, lunar phases, and traditional metallic finishes. 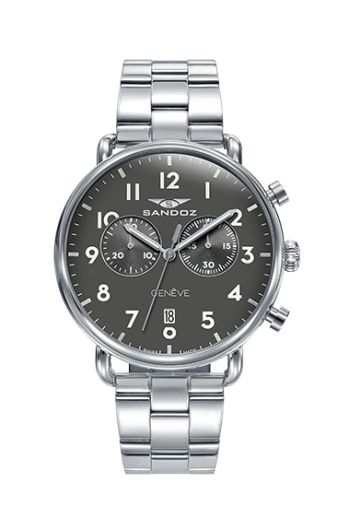 Called to remain forever, and never to go out of style. 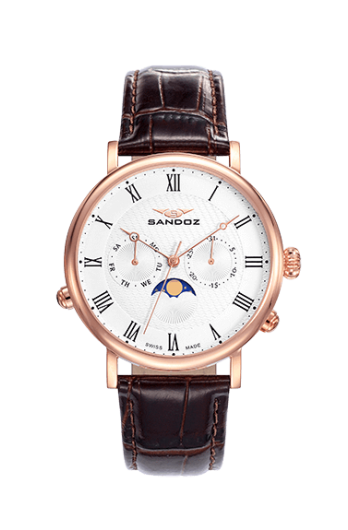 This Antique model sports a steel case, an oldstyle white dial and It incorporates and a leather strap.